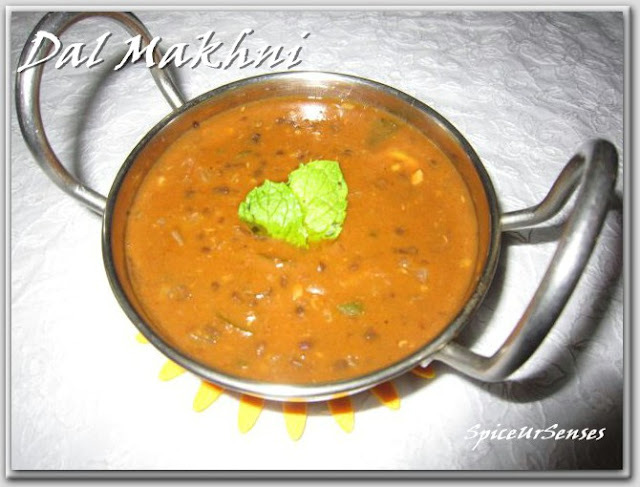 Dal Makhani, a flavourful robust lentil preparation, is a celebrated delicacy from Punjab. Rajma and whole urad provide protein and calcium which are extremely important for maintenance of your body cells and healthy bones. Cooking the dal in tomato purée adds a little sharpness to this dish and also enriches it with folic acid and vitamin A. Grind ginger, garlic and dry red chillies together to a paste. Pressure cook with 1 tsp ghee, salt and half of the ginger-garlic paste. After the first whistle, reduce the flame and cook for about 45 minutes. Remove from fire. Prepare tadka (tempering) with tomatoes,onion, leftover ginger-garlic paste, garam masala and coriander powder. Add this to the dal. Add butter and simmer on low flame for 20-25 minutes, stirring and mashing the dal occasionally with a ladle against the sides of the cooker. Add beaten cream mixed with milk. Simmer for 15-20 minutes more and serve hot. 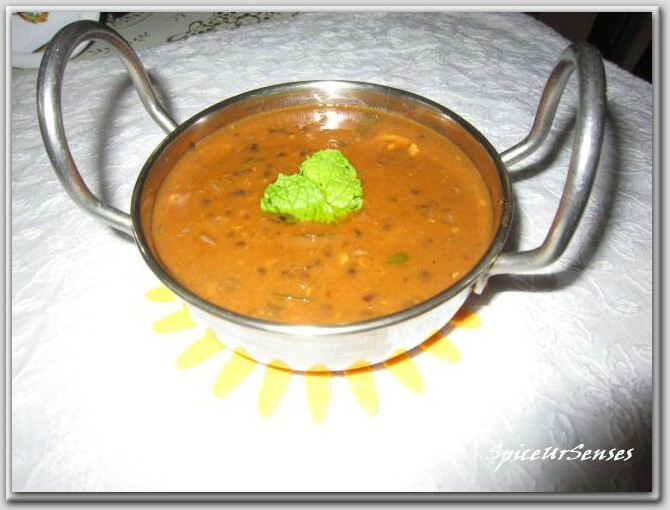 Looks very droolworthy and nutritious dal makhani..
Daal looks creamy and yummy! Love it, beautiful pic !!! Love this creamy curry with rotis.. So glad you commented on my blog because it brought me to yours. Love your recipes. Indian dishes are definitely among my top favorites. Love this dal makhani recipe.